Trim Dim Filter Corporation are used in filter applications for hospitals, data centers, nuclear facilities, pharmaceuticals, laboratories, aerospace, food processing and optics. The Commercial HEPA Filter Replacement 24"x24"x11.5" Standard Capacity is the correct replacement for the Trim-Dim Tri-Pure HEPA 2412115-99 SC. The Commercial HEPA Filter Replacement 24"x24"x11.5" High Capacity is the correct replacement for the Trim-Dim Filter Tri-Pure HEPA 2424115-99 HC. The Commercial HEPA Filter Replacement 24"x24"x11.5" Standard Capacity is the correct replacement for the Trim-Dim Tri-Pure HEPA 2424115-99 SC. The Commercial HEPA Filter Replacement 23.3" x 11.3" x 11.5" High Capacity is the correct replacement for the Trim Dim 231111HC97 filter. In Stock! Ships in 28 to 29 business days. The Commercial HEPA Filter Replacement 23.3" x 11.3" x 11.5" Standard Capacity is the correct replacement for the Trim Dim 231111SC97. The Commercial HEPA Filter Replacement 23-3/8" x 23-3/8" x 11-1/2" High Capacity is the correct replacement for the Trim Dim Tri-Pure HEPA 6602713. The Commercial HEPA Filter Replacement 23-3/8" x 23-3/8" x 11-1/2" Standard Capacity is the correct replacement for the Trim Dim 6602713 SC. The Commercial HEPA Filter Replacement 24"x12"x11.5" High Capacity is the correct replacement for the Tri-Pure HEPA 6602713 HC. The Commercial HEPA Filter Replacement 24"x24"x11.5" Standard Capacity is the correct replacement for the Trim-Dim Tri-Pure HEPA 2412115 SC. The Commercial HEPA Filter Replacement 24"x24"x11.5" High Capacity is the correct compatible replacement for the Trim Dim Filter Corporation Tri-Pure 2424115 HC. 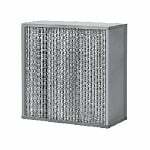 The Commercial HEPA Filter Replacement 24"x24"x11.5" Standard Capacity is the correct replacement for the Tri-Pure 2424115 SC. The Commercial HEPA Filter Replacement 23-3/8" x 11-3/8" x 11-1/2" High Capacity is the correct replacement for the Trim-Dim Tri-Pure HEPAMAX 2311115 HC. The Commercial HEPA Filter Replacement 23-3/8" x 11-3/8" x 11-1/2" Standard Capacity is the correct replacement for the Trim Dim Tri-Pure HEPAMAX 231111 SC. The Commercial HEPA Filter Replacement 23-3/8" x 23-3/8" x 11-1/2" High Capacity is the correct replacement for the Tri-Pure HEPA 231111 HC. The Commercial HEPA Filter Replacement 23-3/8" x 23-3/8" x 11-1/2" Standard Capacity is the correct replacement for the Trim-Dim Tri-Pure 232311 SC. The Commercial HEPA Filter Replacement 24"x24"x11.5" High Capacity is the correct replacement for the Tri-Pure HEPA 2412115 HC.